Remember those beautiful flowers from when I was Yarn Bombing Blooms? Well, those (along with a few others) have dried up, and since I can’t seem to part with them I turned them into dried flower soaps. This project was ridiculously easy and so much fun. Guess what you’re getting for every birthday and holiday, Jaime and Jacinda? If you are unsure about how to even acquire dried flowers, check out our Dried Flower Bouquet Tutorial. 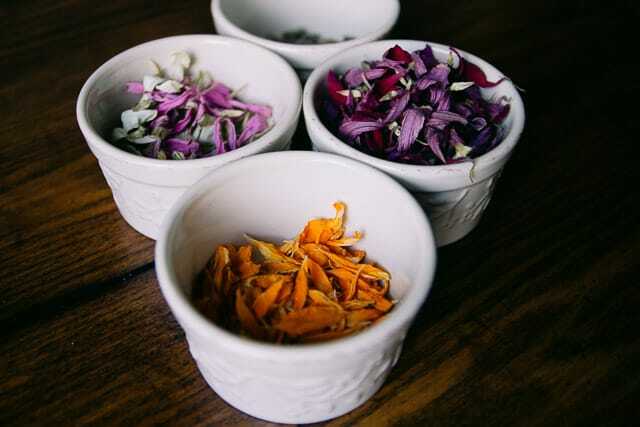 Next, take the petals off of your dried flowers. I used a collection of different types of flowers, but a safe bet is always lavender, chamomile, marigolds, and herbs like rosemary. 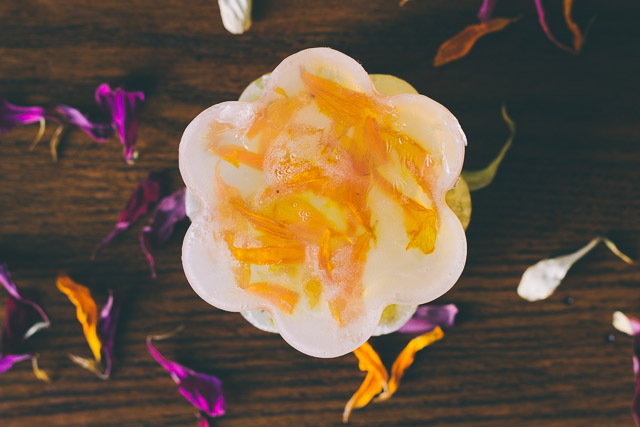 Be aware that many flower petals will change color during the soap making process, so you might want to test them out before you try. Have fun and experiment with it, you can also try adding coconut shavings, oatmeal, and essential oils for a scent. I followed the same instructions that Jacinda laid out in How to Make Shaped Molds with Soap, except that I used Clear Glycerin. 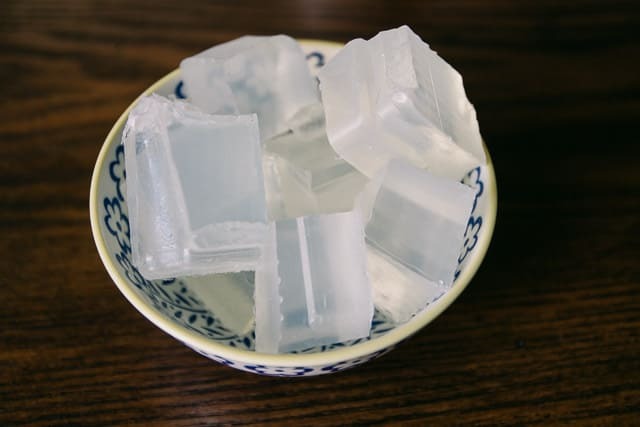 Cut the glycerin into cubes and microwave until fully melted in 15-30 second intervals. 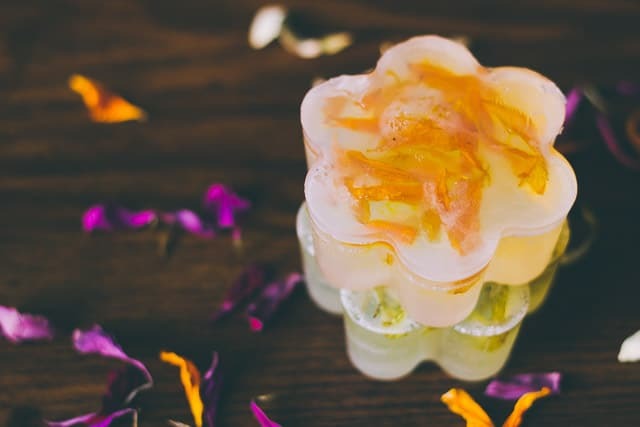 Pour the glycerin into Flower Silicone Molds (or the molds of your choice) and add the flower petals. If you want to do a layered effect, fill the mold only partially and let it cool, then fill it again with a new layer of flowers. Let them cool thoroughly and then pop them out to give as gifts.